Fans of Ipods and Hello Kitty will love this specially designed Ipod Case available in your Sanrio Shop! Now you can protect your Ipod and have Hello Kitty wherever you go. Kudos to the people in Sanrio Japan for designing a must have item for all music lovers world wide! The votes and comments have been talied! And now you can pre-order your Hello Kitty Dream Item in Sanriotown! Click on the Kitty Shop tab today and see if your favorite products have made it to the top 3! Don’t like the items on the list? 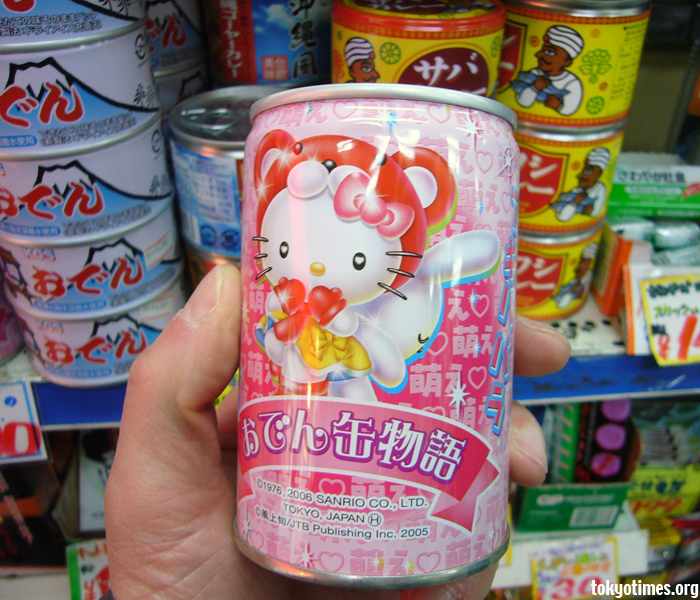 Tell us about it over at the Sanriotown forums! We might just consider your requests and add your item in another pre-order form! 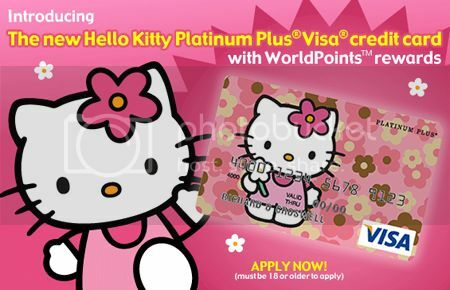 Exclusively for Members of Sanriotown! Winter in Japan calls for Oden, a Japanese dish based on soy-flavored dashi broth and ingredients such as boiled eggs, daikon radish, konnyaku and processed fish cakes. 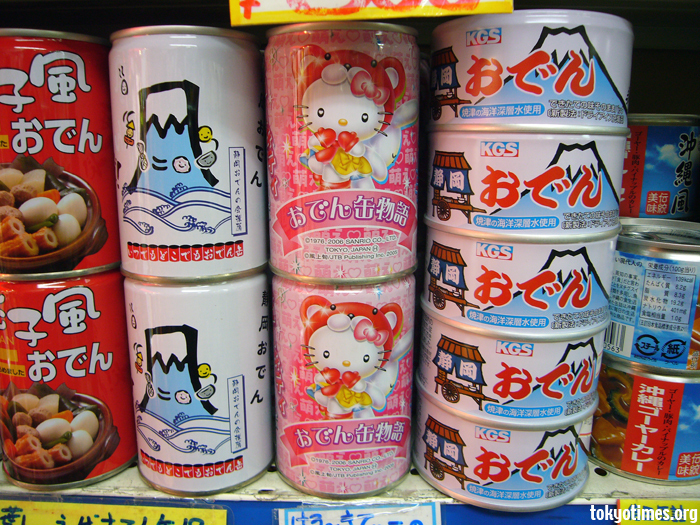 Since people are always on the go, Hello Kitty has decided to make it easier for her fans by providing them with a canned oden that you can simply reheat. Thanks to Tokyo Times for the images..! Well you already know (also, it’s right there), but O is the lifestyle magazine of the infamous Oprah Winfrey, and yes, those are her words. Hahaha~ Can you imagine her making sandwiches in the morning using our very own Hello Kitty’s sandwich press? And also I’d like to take this time to say…that those sandwiches are so cute. I want one. I want to make them and give them to friends. I want to poke them too (no I won’t poke the ones I’ll be giving out). No really, my brother will probably weep and mourn if I do, but I just might buy this if I see it. • Earn one point for every dollar in net retail purchases. Use your card for everyday purchases, recurring bills, or major expenses, and watch your WorldPoints rewards grow even faster! • The most personal service—24-hour access to MyConciergesm service is like having your own personal assistant who can help get great seats at entertainment and sporting events, make last-minute dinner reservations, arrange tee times, and more! • Online account access—get up-to-the-minute account information, schedule online payments, review recent statements and much more. and refer to the disclosures accompanying the online credit card application, or call Bank of America toll-free at 1-800-438-6262. * To qualify for this offer, your new account must be used to make any combination of purchase or cash advance transactions (including balance transfers) totaling at least $25 (exclusive of transaction fees, if any). Limit one (1) item per new account. Supplies are limited. Allow 8-12 weeks for delivery after qualifying. Offer sponsored by Bank of America: we may substitute an item of equal or greater value and we are not responsible for lost, stolen or undelivered merchandise.